James Sherlock studies orchestral conducting at the Sibelius Academy in Helsinki with Atso Almila. In the past year he has made his professional conducting débuts with the English Chamber Orchestra and the BBC Concert Orchestra, collaborating with soloists including Raphael Wallfisch, Angelika Kirchschlager and Dame Shirley Bassey. He was also selected by the London Symphony Orchestra and Berlin Philharmonic as the young British conductor to take part in their International Artists Academy in Berlin and Aix-en-Provence. Beginning professional life as a keyboard player, Sherlock has performed at important venues as soloist and chamber musician, including Berlin Philharmonie, the Barbican and Royal Festival Halls, the Carnegie and Wigmore Halls, and Muziekgebouw Amsterdam, often appearing with leading singers including Dame Felicity Lott, Sir Thomas Allen and Dame Sarah Connolly. He has also been a regular guest keyboard player with the London Philharmonic and London Symphony Orchestra. Upon sustaining an injury in 2016, James turned his sole focus to conducting. 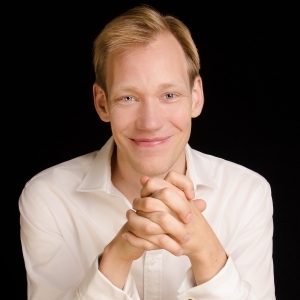 Alongside his work at the Sibelius Academy, he has participated in masterclasses with Jorma Panula, Hannu Lintu, Mikko Frank, Richard Bonynge, Colin Metters and Matthias Pintscher, and conducted operas at West Green House Opera, Cambridge University and with British Youth Opera / Southbank Sinfonia. Previously he studied piano, voice coaching and musicology at the Guildhall School of Music & Drama, Trinity College Cambridge, the Georg Solti Accademia and the Franz Schubert Institut. Competition successes include top keyboard prizes at the Royal Overseas League Competition, Das Lied International Song Competition, the BBC Performing Arts Trust, the Award for Young Concert Artists and Gold Medal at the Marcello Galanti International Organ Competition.